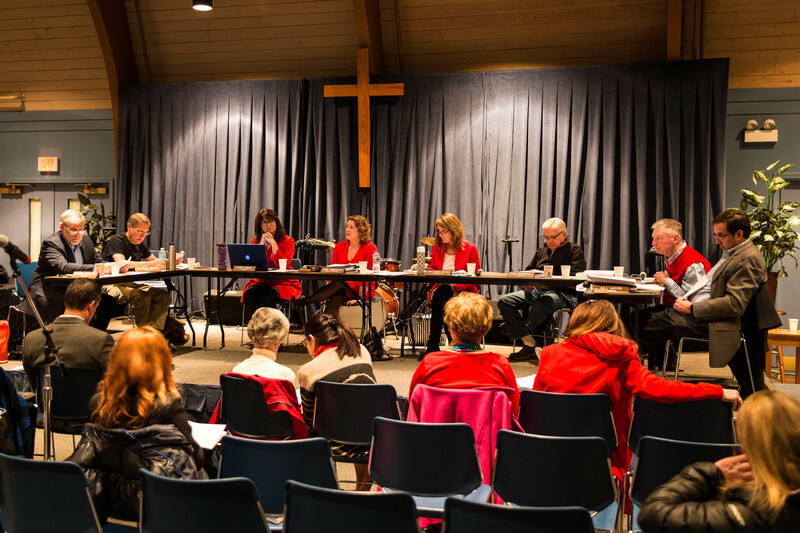 The passionate voices of many were heard in the Long Grove Community Church during the February 14th Village Board meeting. Church members were very gracious in hosting us and even provided Valentine’s Day themed treats and refreshments! On Valentine’s Day, passion is a good thing. 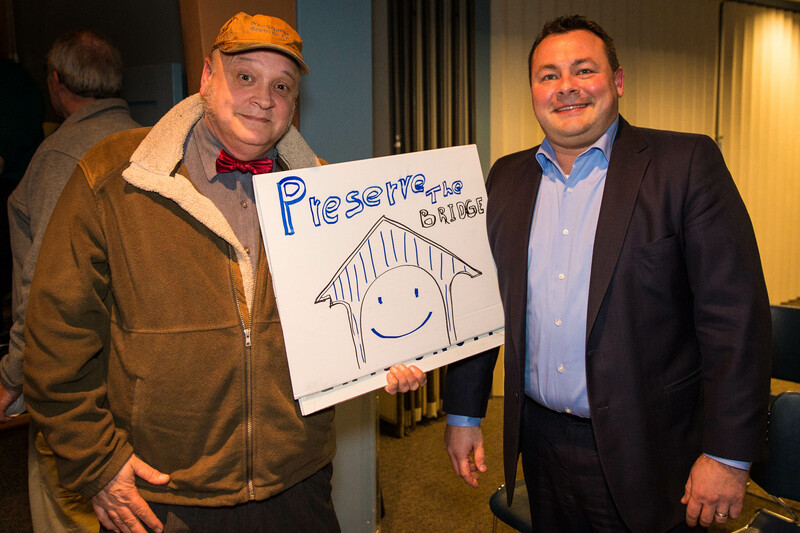 The love shown for our covered bridge by over 3500 petition signers and 150 attendees at the February 14th Village Board meeting proved strong enough to sway our six Trustees to move towards preserving our local landmark. After weeks of “Save the Bridge” efforts by our downtown merchants, residents, and the Long Grove Historical Society, the Village Board voted in an informal straw poll to discontinue spending any more time and money looking into demolishing the one-lane bridge and building a new two lane bridge to conform to federal standards. This action came after the Village learned late last week that the Illinois Historic Preservation Agency has deemed our 1906 covered bridge eligible to be placed on the National Registry of Historic Places. This is great news for all of Long Grove and opens up the future possibility of grants and other funding sources for preservation. In addition, during public comment the largest property owner in our historic downtown, Gerald Forsythe, pledged to donate $25,000 to kick-start restoration efforts, and called on the community to create a private fund. This week, I have had the pleasure of hearing the grateful voices of two prominent Long Grove residents who were active in efforts to preserve the bridge back in 1973, when the wooden covering was added. Both Barbara Reed Turner and Robert Parker Coffin made personal requests to me to “Save the Bridge,” and between passionate public expression, notice of historic status, and pledges of financial support, I think we may have just granted their wishes. A picture speaks a thousand words. Long Grove merchants John Kopecky and Ryan Messner show their support at the meeting. As A Leader, Should You Inspire Fear–or Love? Niccolo Machiavelli, in his advice to rulers, famously wrote that “it is better to be feared than loved.” His reasoning was simple: a leader cannot make others love him or her. Fear, however, can be induced. Consequently, for a leader who wants to be in control, fear is the more powerful tool. Fear, however, has a fundamental flaw. It relies on irrationality. It counts on subjects to respond emotionally, unthinkingly, to bullying and the threat of violence and pain. If one submits to another out of fear, that other is in control. But sooner or later, fear yields to reason and reason seeks an opportunity to turn the tables. That’s why tyrants so rarely die peacefully in their beds. Still, a leader who seeks to be loved is not much better off than one who seeks to be feared, nor are the people that leader governs. Certainly the people suffer less from the direct actions of a leader who seeks love than one who seeks to be feared. But a leader who seeks to be loved will find, time and again, that concern for the feelings of constituent groups will lead to a series of compromises and concessions that may satisfy their short-term desires but do not serve their long-term interests. That’s the funny thing about our long-term interests. Rarely do we love everything about what is required to pursue them. Often, we must pay a price in the short run to achieve the long-term good. Not exactly a formula for being loved in the immediate moment, is it? There is a third path. It is one that exists only for those who believe that, in the long run, most people most of the time will come to recognize good choices…and bad ones. Experience is a pretty good, though somewhat flawed, teacher. Most of us, because our life circumstances matter to us, are pretty good students. At least that’s what I believe. I also believe a leader can earn authentic love. It’s an odd concept, I suppose, because love is normally associated with emotion and not an earned reward. But I don’t think that is the heart and soul of love. The heart and soul of love is knowing someone for who he or she really is, and recognizing that reality as a gift. Recognizing that gift, a gift to us, we love that person. We put up with failings and overlook limitations not foolishly or passionately, but deeply rationally and emotionally. Because there is a good reason for us to love someone who is, in fact, a gift to us. Leaders who strive mightily to discover what is best for their people, then strive equally mightily to bring it to fruition, may earn our anger and resentment for a time. We may not like their actions and may resent their message. But over time, as what is truly good becomes clearer to us, we come to appreciate them more and more. We come to see their leadership as a gift to us. And we come to love them. Having fun with some of the students and teachers of the Montessori School of Long Grove on January 25, 2017. What better way to liven up a gray and wintry day than by sharing lunch and enthusiasm with some of our local students? 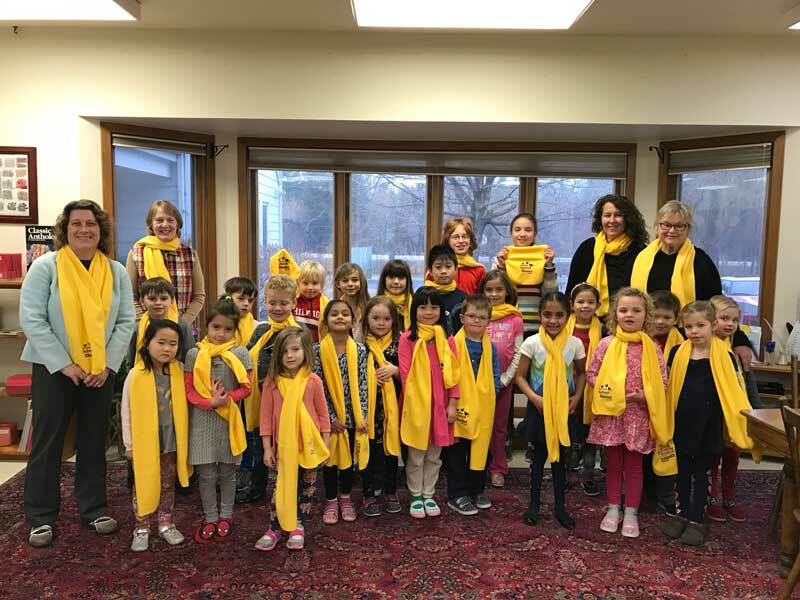 Last week I was invited to come visit the Montessori School of Long Grove, as a special visitor during National School Choice week. I had loads of fun getting to know the kids and even got to meet Shelly, the classroom turtle. As a bonus I was given a warm yellow scarf to remember the event, in fact we all did, as shown in the picture above. It was a pleasure sharing pizza and veggies with my charming lunchtime companions! The children had many interesting questions about my job, and wanted to know about some current events like the discussions on how best to renovate our covered bridge. Since the school is located only a hop, skip, and a jump from the bridge, the Montessori students are very familiar with it and sometimes take walks in the warmer weather using it to cross over Buffalo Creek to the park. They wanted to know how they could get involved, if they wrote letters or made posters would the elected officials pay attention? I assured them that even our youngest residents have important voices! Not all the kids had the same opinions on what should be done (just like the grown-ups!) and we talked about how in a democracy, everyone doesn’t always agree but we respectfully listen to one another and then decide what the majority thinks is best. Who knows, maybe one day some of these Montessori students will be serving our town, our state, or our country as an elected official themselves? From what I saw last week, they are off to a great start! Cub Scouts from Kildeer Elementary Pack 56 and Country Meadows Elementary Pack 964 met with me at Village Hall on January 20th, 2017. I can’t think of a better way to carry out the spirit of Inauguration Day today than by meeting with (and maybe inspiring) some potential future leaders of our country. It was my pleasure to welcome two 5th grade Cub Scout dens from our local elementary schools to Village Hall this afternoon, and work with them towards achieving their “Build A Better Word” requirement. The boys had great questions for me about my job as Village President, and also about some of the important current issues facing Long Grove. We discussed the Rt. 53 extension, video gaming machines in the downtown, revitalization of our historic business district, and the recent extension of our municipal water system. To cap off the experience, we had a mini Village Board meeting in which the students got to role play as Village Board members, and sit at the actual table and discuss and debate an actual issue from Tuesday’s upcoming agenda. The topic: Report of the Village Engineer on the options for renovation or replacement of our iconic Covered Bridge. I got to have fun impersonating Mike Shrake, our Village Engineer, and explained the various options of restoring, rebuilding, or expanding our current one lane bridge to two lanes. Opinions varied with some favoring history, some concerned over safety, and others mindful of the fiscal implications. Strikingly similar to our real-life Trustees, I must say! The kids did come to a consensus that our Village Engineers should continue their studies of the variables. Meeting and interacting with our youngest residents has always been one of the greatest joys of this job for me. The scouts asked me if I had been active in government as a student, and in fact I was a member of Student Council in high school. I learned that many of these boys are also involved in the student government at their elementary schools and have already started gaining leadership skills that will be useful throughout their entire lives. It makes me hopeful for the generations to come, and for all those inaugurations yet to be! Role playing a mini Village Board meeting and debating a real issue from the upcoming agenda. The iconic covered bridge in historic downtown Long Grove is a symbol of our village around the globe. At the beginning of this year, The Daily Herald asked Lake County mayors: What are you most looking forward to your town accomplishing/doing/changing in 2017? My response highlighted several infrastructure improvements slated to begin this year, such as Old McHenry Road resurfacing and streetscaping in the downtown crossroads. I ended with, “And most significantly, I look forward to input and direction from our residents, through open houses and public hearing participation, on the course of action that our Village Board should take regarding the reconstruction of our iconic covered bridge.” Well, ask and you shall receive! The Historic Downtown Long Grove Association (our local “chamber of commerce”), in cooperation with members of the Long Grove Community Church, Long Grove Montessori School, Long Grove Historical Society, and concerned area residents have launched an initiative to “Save the Bridge.” As of yesterday, a petition on change.org (click here to view) was started, and has gathered at the time of this writing over 1000 signatures. 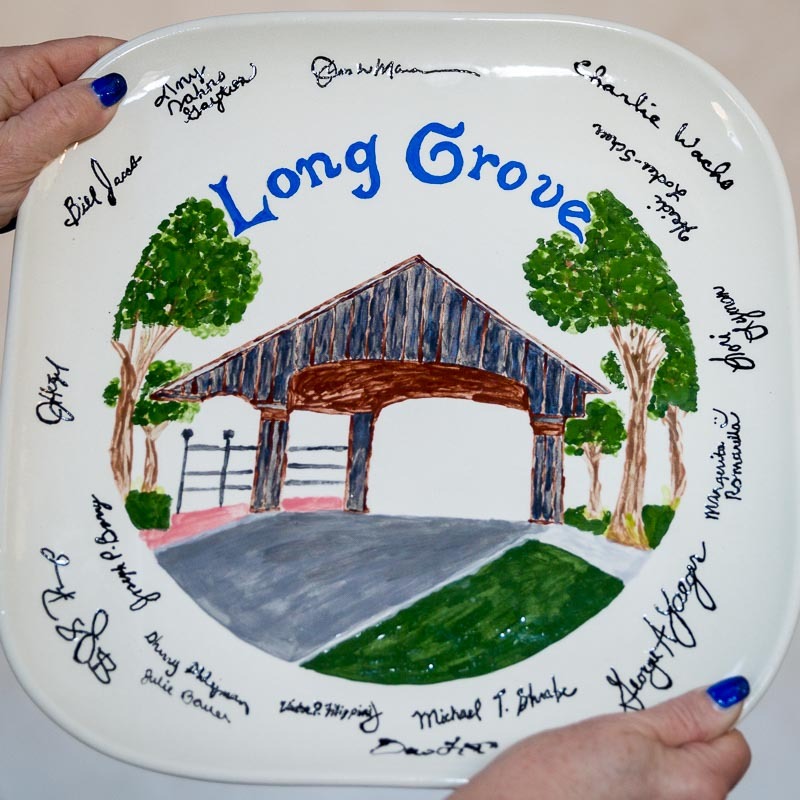 It has been overwhelming to see the beautiful memories and tributes flooding in from Long Grove residents, and those all over the country who grew up in Long Grove or remember visits to our town in years past. Our historic, one-lane covered bridge is even receiving love from such far-flung places as Norway, Japan, Ireland and Vatican City. The push and pull comes down to fiscal vs. tradition vs. safety. Many Trustees are supportive of the demolition and reconstruction to two-lane in exchange for saving money. Others want to keep the quaint appeal and favor the traffic calming effects of the one-lane in a heavy pedestrian area. I have stated previously that I have a soft spot for our charming covered bridge. I like it just the way it is and see no need to expand it to two lanes. I am firmly in agreement with those signing the online petitions–I love our covered bridge. The Trustees have directed the village engineers to start the process for the federal funding option, which is a multi-year effort. Studies have been made, and are ongoing this Spring. In May, the Village is planning a public open house to further gather community input. A definite decision will be made after that time. Or maybe sooner if the public outcry is loud enough? Stay tuned to this blog for further updates. The first Village Board of Trustees consisted of community members who were appointed informally to serve until the next election date in April. That election, a contested one, resulted in all of the previously appointed officials being duly elected. The trustees had been selected in an effort to represent every section of the new village, farmers and commuters. The first Village President was Guy Reed; the father of Barbara Turner and benefactor of what we enjoy today as Reed-Turner Woodland. In the beginning, the Village had no income for two years and everyone was a volunteer. The first full-time employee began on October 1, 1970. He was Superintendent Tony Berg, who carried out his duties from a basement office in the old creamery building. Our first Village Manager was hired soon afterwards. The early Village Board meetings were held in the Kildeer Countryside School cafeteria, which provided a small office for the Village Manager to use. Official village records were stored in the homes of elected officials. Well, times have changed since those early days. We eventually acquired a Village Hall in 1977 after the old Drexler Tavern had been saved and moved to where it is now, adding a proper meeting room. Today Long Grove has one part time and four full time employees who work out of that same building, serving approx. 8,500 residents in 60 different subdivisions and neighborhoods. Our Village has grown to encompass roughly 18 square miles, which includes approx. 3,000 acres of protected, dedicated open space. 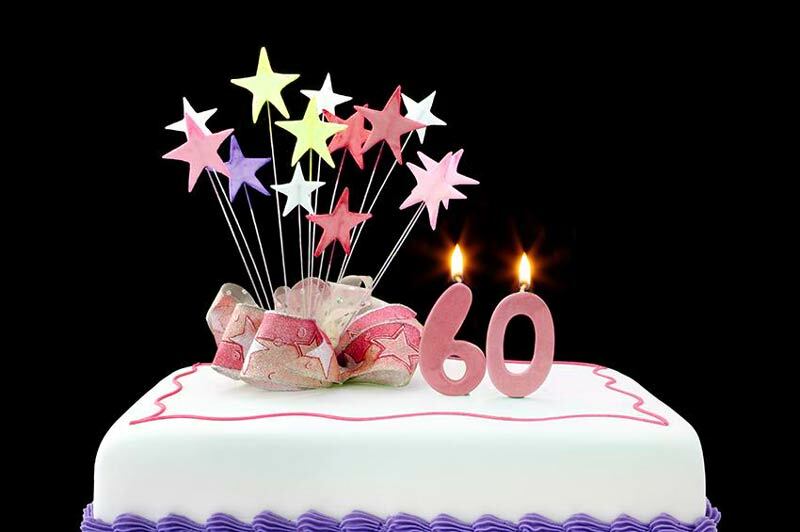 From our humble beginnings sixty years ago…Happy Birthday, Long Grove! The expansion of our municipal water system has enabled two new things to come to our downtown–water hydrants and Buffalo Creek Brewing! In July of 2015 I wrote a blog post about the expansion of our Long Grove water system, entitled Tapping into the Future. Fifteen months after our Village Board approved the preliminary engineering contract, we now have fire hydrants in the historic downtown! The construction crews have been busy working all summer and fall to extend access to public water, and the new infrastructure is now in place. In the next 30 days the system is expected to be pressurized. Bringing quality water from the deep well at Sunset Foods into the downtown has been a long-term goal and priority of many individuals who have served on the Village Board. The Trustees who came before me had the initial vision, and through the years numerous Boards have been diligently working towards opportunities to make this a reality. The sale earlier this year of the four lots on Archer Road and the development of the Harbor Chase assisted living community at Routes 53 and 83 have helped fund this capital project, with tap in fees and future water usage charges to fund the system going forward. The additional water supply will now provide better fire safety for our historic buildings, and help retain and attract new businesses to Long Grove. And we are already starting to see some results! The former Red Oaks property is under new ownership and being converted into a Fred Astaire dance studio and grand ballroom. Just behind on Historical Lane, in the home of the former Studio of Long Grove art gallery, Buffalo Creek Brewing is finalizing plans for a craft brewing operation, taproom, beer garden, and eventual banquet facility. The Village Board recently approved zoning, special use permits, and liquor licenses to put this in motion. The brewery will obviously be a heavy water consumer, and both new businesses have made a financial commitment to connect to the new water system. Doing large scale infrastructure improvements in Long Grove is a particular challenge; we levy no municipal property tax so borrowing money to fund the improvements up front is difficult. But now that the downtown revitalization ball has started to roll, I have every expectation that it will gain more and more momentum in the months and years ahead. We are continuing to make progress towards the future, and by “tapping” into our resources….who knows how many more opportunities will start to flow? Now is the time to pick up some free bulbs at Village Hall. Plant them this fall for springtime beauty! Where and when did the Long Grove daffodil tradition start? It has been going on for a long time–this year will mark what may be the 45th anniversary of the daffodil planting practice. No one knows exactly how many bulbs have been provided by the Village over the years. The Village Board allocates a fixed dollar amount to the project annually, and buys as many bulbs as possible with the budgeted funds. Last fall we provided 4,200 bulbs for residents to plant. If that number was consistent over 45 years, about 190,000 daffodils would have been available to beautify Long Grove. 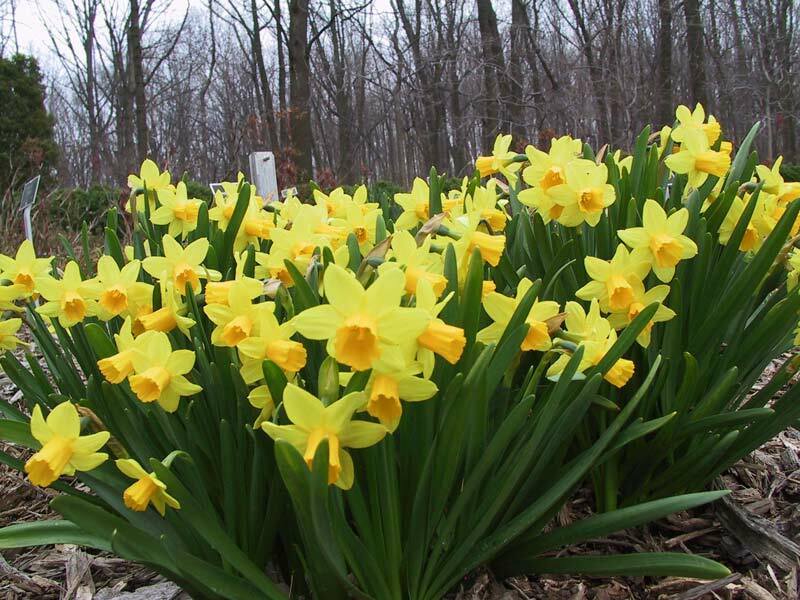 The daffodil idea came from a group of civic minded women who were the founders of the Long Grove-Kildeer Garden Club in the early 1970’s. The moving force at the front of the idea was Betty Coffin, whose husband, long time Village President and Trustee Robert Parker Coffin, convinced the Village to agree. The project launched as a community effort, with volunteers from the Garden Club, Park District, and Scout troops planting the bulbs. Among the enthusiastic participants were Timmie and John Clemetsen, Lee Bassett, and Barbara Turner. Funding came from the Village and from builders who donated bulbs for planting along the right of way in areas where they were developing homes. The idea was popular, has continued through economic ups and downs, and is still going strong today. We now depend on individual homeowners to carry on the tradition. Stop by Village Hall now and pick up your bulbs for planting this fall. You will be thankful (and so will your neighbors) this coming April! Casting my vote during the 2016 Spring elections. During the next municipal election in Spring of 2017, my name will not be on the ballot. When I ran for office I fully expected that the job would require a major time commitment and involve some difficult and controversial decisions. While true, this does not deter me as I am a hard worker and not afraid of taking a stand on an issue or breaking a tie or two (or in this case, 14 15!) for the good of the whole, regardless of the personal backlash. I have simply wanted to contribute my genuine love and concern for the community, and my experience as a leader to help our residents through some challenging years. It has been an honor and a privilege to serve Long Grove in this capacity. At the end of my term I will have spent six years volunteering on the village board and I believe I have given to the best of my abilities in this position. Throughout it has been a learning experience and I have many good memories to carry forward. However, what I was not anticipating was the degree to which this job would impact my quality of life. Serving as a mayor is truly a 24/7 responsibility, no matter the size of your town or the magnitude of the issues. I am thinking and working on some aspect of the Village of Long Grove nearly every day. This has increasingly become the case as our village board continues to struggle to work together as a team, despite mutual acknowledgement that this is what is most needed for success. It is frustrating and exhausting to have to make the dysfunctional, functional. What I have experienced is that very little of my time and energy is left over to give to my loved ones, myself, and other worthy causes and activities that I enjoy. I do not regret the sacrifices made, but it is time now to reset my priorities. This decision has taken into account the advice and feelings of many caring people who have supported me over these past years. The satisfaction of serving my community has been great, but I’m ready to move on to the next adventure. I am hopeful that several candidates from the greater community will be motivated to come forward and throw their hats into the ring. Change is good! Many residents have been highly engaged in the variety of controversial issues that have come before the board in recent years and perhaps we will see some of these outspoken individuals step up to the challenge of elected office. I have often remarked that the position of Village President was not one that I was seeking, but rather I found that the position was seeking me. Long Grove is now seeking a future leader who has the capacity to serve something bigger than self. Someone who can listen to others and take advice, is even-tempered, and possesses the skills needed to work towards compromise on the many diverse issues and potential changes on the horizon. Perhaps that person could be you? (L to R) Long Grove Village President Angie Underwood, Hawthorn Woods Mayor Joe Mancino, and Illinois Comptroller Leslie Munger at the July 14th Lake County Municipal League Meeting. 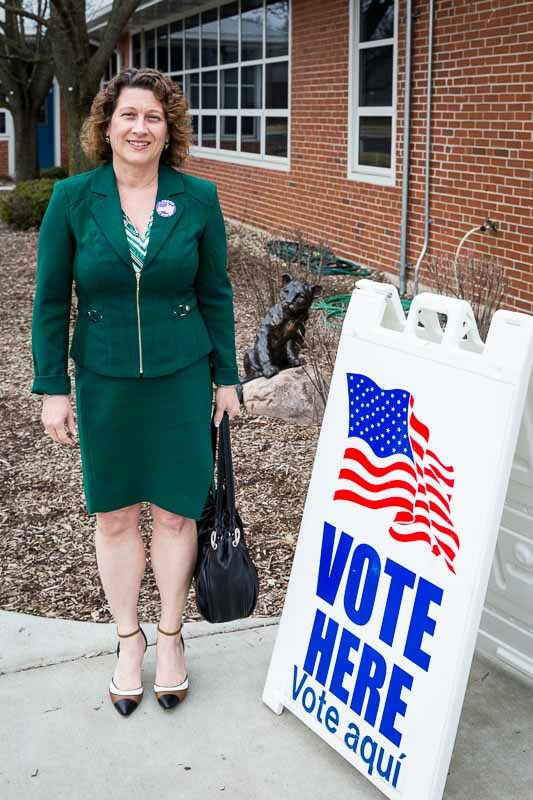 Last month I attended the quarterly Lake County Municipal League meeting and had the opportunity to hear our State Comptroller, Leslie Munger, speak in her hometown of Lincolnshire. What resonated with me the most is the precarious financial state we find ourselves in at the moment. Let’s just say that the news was not comforting to hear. Illinois has not had a budget in place for over a year now. In June of 2016 some “stopgap funding” was passed that will be in place until December. Some of the groups receiving this temporary funding are: K-12 schools, Universities & Colleges, nonprofits providing human services, Veterans homes, Lottery winners, 911 call centers, road construction, and local governments. While the stopgap funds are allowing these organizations and projects to continue until the end of the year and through the fall elections, Comptroller Munger described these measures as a “band-aid.” Right now Illinois has a backlog of $8 Billion in unpaid bills, which is estimated to grow to $10 Billion by December. Currently our state has accrued $116 Billion in unfunded pension obligations. Sobering statistics, indeed. So with all of this doom and gloom, how do we all remain hopeful that things can and will change? Leslie left us on a positive note with her view that the financial challenges of Illinois can be overcome with state legislators who are willing to work together to reach a consensus and compromise. Illinois is blessed with many assets such as: transportation, a skilled work force, high quality education, abundant water, rich farmland, and a strong IT and advanced industry. I am keeping my fingers crossed that the November elections will spark some positive change, one that will result in a workable plan to get our state back on track financially. It is possible. And it is up to all of us to let those in Springfield know that we expect nothing less. Hearing Comptroller Munger speak motivated me to call and email my state senator with my thoughts and concerns, and ask what I can do to help. You can do the same. Like it or not, we are all in this together!